The “stollen” is a delicious cake available from September to December. No Christmas in Germany would be complete without it. The egg-less delicacy contains flour, fruits and raisins, almonds and lots of butter. After baking, it is also buttered from the outside and coated with sugar. Stollen originates from Saxony and the Dresden Stollen, only genuine if it has been made in the city, is the most famous. 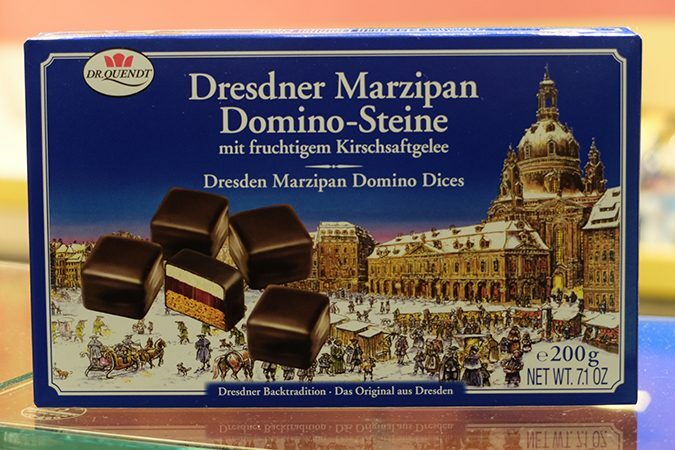 It even gave its name to the Dresden Christmas market, the oldest in Germany. On every second Sunday in Advent, a Stollen Festival is celebrated at the Christmas market for which a giant stolen is baked, presented by the “Stollen Princess”. Some bakers also offer visitors to make their own stolen which is then baked and ready for pick-up the next day. When it comes to “Quarkkäulchen”, the question is not “to eat or not to eat”. It is rather whether to have this dish as a dessert or a main course. The purely vegetarian Quarkkäulchen are fried patties made from potatoes, curd and raisins, traditionally served with apple sauce. They are available in most restaurants and are often upgraded with berries, ice cream and vanilla sauce. Saxony’s cuisine was strongly influenced by neighboring Bohemia, part of the Austro-Hungarian Empire. 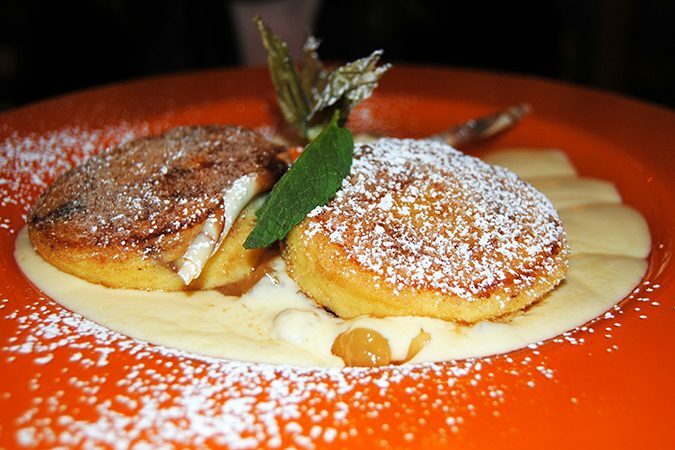 Thus, sweet dishes are often served as a main course. But mostly, Quarkkäulchen only bring a meal to a wonderful close. 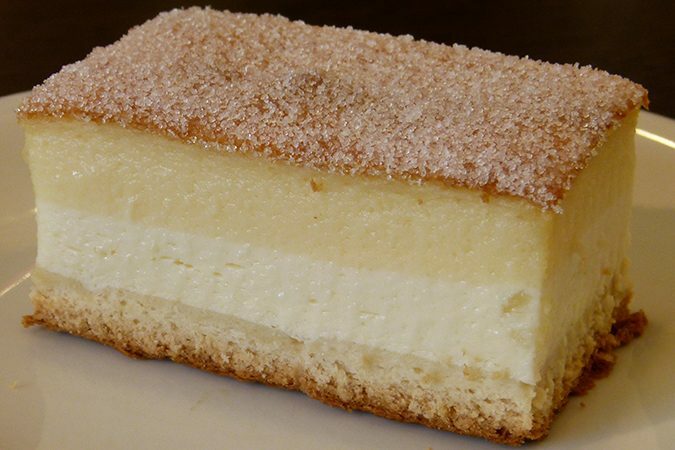 Another dish only available in Saxony is the “Eierschecke”, a highly popular cake served in most Saxon cafés and bakeries. It consists of three layers made up from dough, cheese cake filling and egg respectively, with raisins added to the mix. Sometimes, a fruit layer is added to create variety. But it is the Eierschecke in Freiberg which sticks out. While similar in ingredients, it looks and tastes completely different and sports a semi-liquid top layer, adding another reason to visit this beautiful town. Gingerbread is often relegated to be eaten around Christmas only. Not so in Saxony. Gingerbread has been made in the little town of Pulsnitz for more than 450 years. “Pulsnitzer Pfefferkuchen” is a registered brand. “Pfefferkuchen” means “pepper cake” but “pepper” used to be a synonym for all exotic spices. 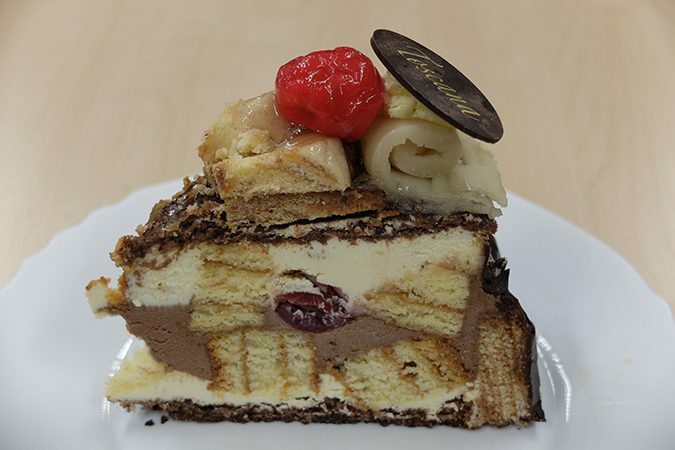 Even those not taken by gingerbread normally will enjoy the “Pulnitzer Spitze”, a delicious piece of soft gingerbread with a layer of jam and covered with chocolate. Gräfe, one of the Pulsnitz gingerbread makers, sells this and other products also in Dresden’s Prager Strasse shopping street and at the highly popular Pillnitz and Moritzburg Castles. One can also try a hand at gingerbread making at the workshop in the museum in Pulsnitz where a gingerbread market is also held every November.